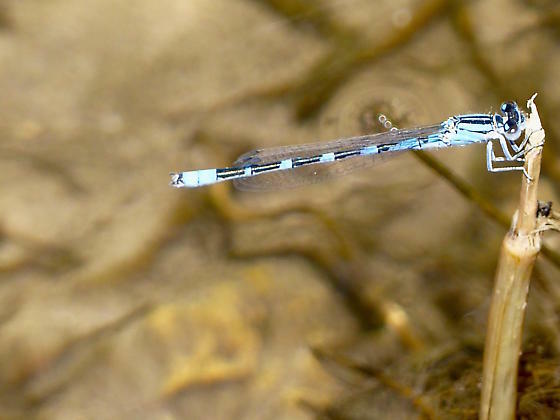 There are no northern or boreal bluets in our area (that we know of) so is this a river bluet? Thank you for any help you might offer! Is this a confirmation of the river bluet? Thanks for letting me know! I appreciate any help you might offer. Yes - it is a confirmation of your ID of Enallagma anna. Very grateful for your help. It's a new species for our site! And new to me. Thank you -- what a great resource.